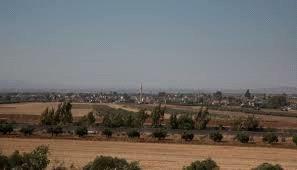 AMMONNEWS - The Syrian Arab Army (SAA) recently continued their field operations inside the Yarmouk Basin region after taking a short hiatus in this rural area near the Jordanian border. According to a military report from this area, the Syrian Arab Army recently seized a large weapons cache that was left behind by the Islamic State affiliated Jaysh Khaled bin Walid terrorists. The report said that the weapons cache contained a large quantity of heavy machine guns, assault rifles, ammunition boxes, RPGs, and sniper rifles.